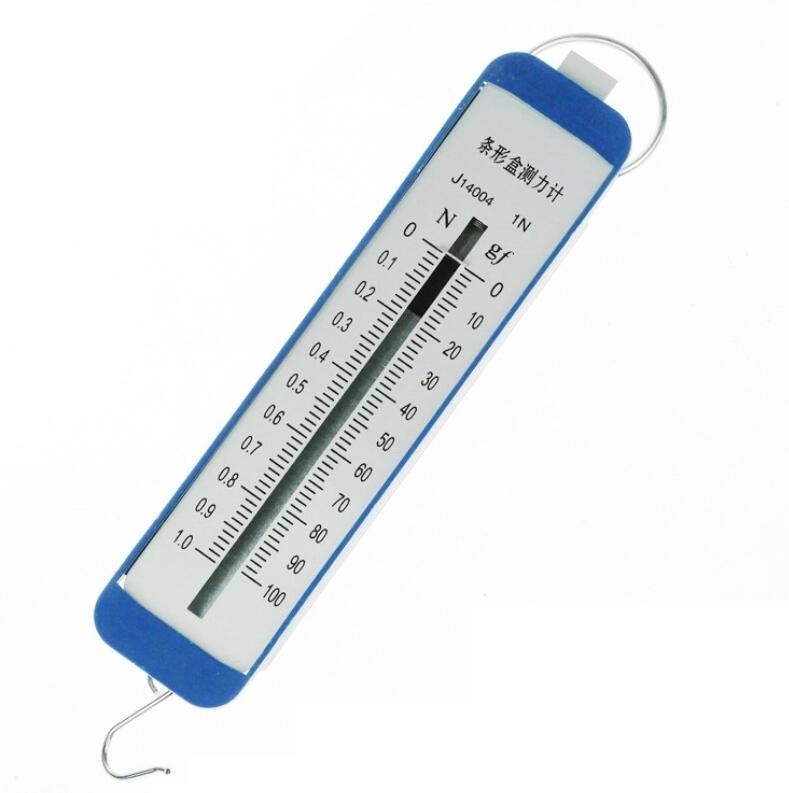 Spring dynamometer is a common teaching instruments for physical experiment/school supplies, it’s a simple tool, but some information you must know about it. First of all, any measurement is the process of comparing a physical quantity to a standard (that is, a unit). The measurement of force is the process of comparing the effect of force with the known force. If the effect of a force is the same to that of 1N force, then this force is 1N. Secondly, the elongation of the spring is proportional to the magnitude of the force. After determining the elongation of 1N, it is easy to determine the elongation of the greater force and the smaller force. In addition, it requires that the spring has good stability and can be used repeatedly. So we can use the spring dynamometer to measure a force. In the elastic limit, the elongation of the spring is proportional to the tensile force, which is F=KX.F is the scale of the elasticity (or the tension), K is the coefficient of stiffness of the spring, the unit is Newton per meter, the unit symbol is N/m, and X is the length of spring elongation or shortening. In the elastic limit, the greater the tensile force of the spring, the longer the elongation of the spring. 1. Pull the spring: smooth it before using, repeatedly pull the spring (excessive force may damage the spring), to prevent it stuck, friction, collision. 2. Measuring range: know the maximum range of measuring force (range), never exceed the range. 3. Division value: understand the scale of spring ergometer and the value of a mini division. 4. Zero calibration: check that if the pointer is on the zero line. If not aligned, adjust it to the zero line. 2. Working in the same direction. The spring need to works in the same axial direction with the force direction, the spring can not rely on the dial neither.